Company Recruitment Begins - Apply Now! Explore the reason why customer service today may not be working. Learn how companies can meet and exceed rising customer expectations by embracing a new, innovative model for guided self-service experiences. If you would like to write the cover story for upcoming editions of PACT Times, please contact Amanda Nardi by July 14. In lieu of an application, PACT is accepting company slide decks for the selection committee to review. To be considered for a presentation slot, please upload an investor slide deck. For more information or questions, contact Jennifer Cohen. Create, Connect, and Capitalize - Expand your business model at the PACT Capital Conference 2017. Investors and corporate business developers will be scouting for the latest cutting edge technologies and healthcare innovations. Registration link is under 'PACT Upcoming Events'. ATTENTION PACT MEMBERS: Look out for more information on the PACT Membership Directory. We will be contacting the primary contacts of each member company. Be prepared to update your profile through our new database, Weblink. There has been a last-minute push by some negotiators to slip Governor Wolf's $330 million #TechTax into this year's budget. From a historical perspective, this is the point when terrible tax policies suddenly appear in state budgets during closed-door, late night negotiating sessions. We cannot let that happen. Please use our advocacy tool, offered in collaboration with the Pittsburgh Technology Council, to quickly and easily contact your legislator. Check out our testimony to Philadelphia City Council. Three companies set the stage for the first installment of the PACT Customer Connect initiative. After a vibrant Technology Executive Roundtable discussion, enterprises Pfizer and Vanguard sat around the table to meet NIKSUN, ObjectFrontier, and EureQA. Each company received 10 minutes to pitch their technology to the two interested buyers in hopes of gaining new customers. Afterwards, both enterprises walked away impressed by PACT's entrepreneurs. They connected with the companies fitted to solve their particular issues and ultimately add more security. Customer Connect represents one of PACT's three core focuses to serve the community towards innovation and growth. It will return this fall at the next Technology Executive Roundtable. This summer's picnic kicked off without a hitch but with plenty of networking! 872 peers joined us on the Navy Yard Grounds June 29th to celebrate good friends and good times - all for a good cause. This year, we combined forces with a few regional partners to drive home our collective mission to build a stronger Philadelphia technology community. The planning committee consisted of Ben Franklin Technology Partners, Life Sciences PA, PACT, Philly New Tech Meetup, Philly Startup Leaders, Safeguard Scientifics, and University City Science Center. The event raised a collective $10,000 for iPraxis, Spark, and TechGirlz to continue building the future of our tech scene. Read the full recap from our friends at Ben Franklin Technology Partners and take a look at a few snapshots from Philadelphia Magazine. 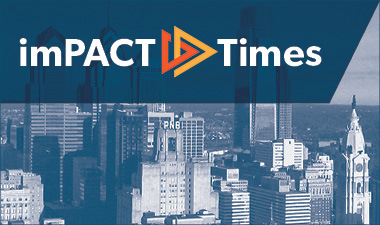 With over 40 mentors and 30 mentees, Ben Franklin Technology Partners and PACT moves the mentoring program into its second year. Visit the website to learn more and get involved today. November 1 and 2 | 1 - 9 p.m.
SMACK - Patient Monitoring using Realtime Data Analytics on SMACK (Spark - Mesos - Apache - Cassadra - Kafka) of how OFS helps healthcare providers and their vendors to deliver innovative digital solutions that improve patient care. NEW YORK--(BUSINESS WIRE)-- First Data Corporation (NYSE: FDC), a global leader in commerce-enabling technology and solutions, and CardConnect Corp., a payment processing and technology solutions provider, today announced the successful completion of First Data's tender offer to purchase the outstanding shares of CardConnect common stock for $15.00 per share in cash. The tender offer expired one minute after 11:59 p.m., Eastern Time, on July 5, 2017.